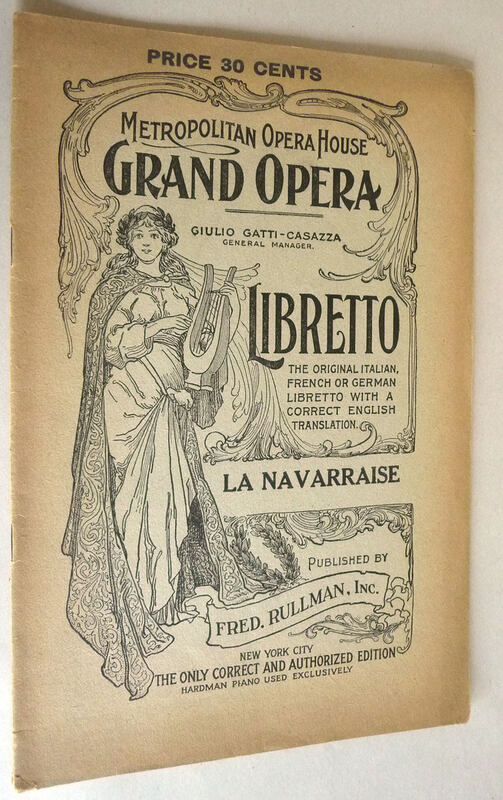 Description: Staple bound Libretto from the Metropolitan Opera House Grand Opera. Wraps are age toned. A few tiny stress creases along spine. No internal marks. 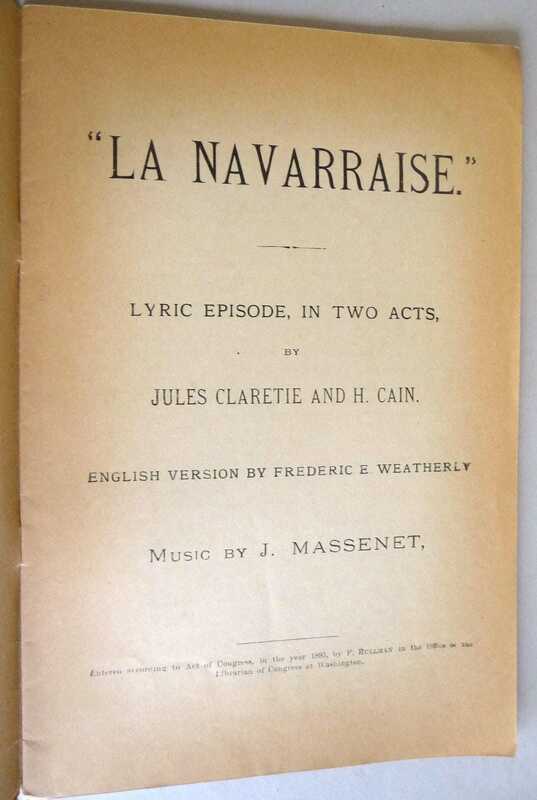 French language with English translation.